I am so happy with the weather we have been having lately. We will be having a couple of days over 30 degrees from tomorrow but that is to be expected at this time of year. 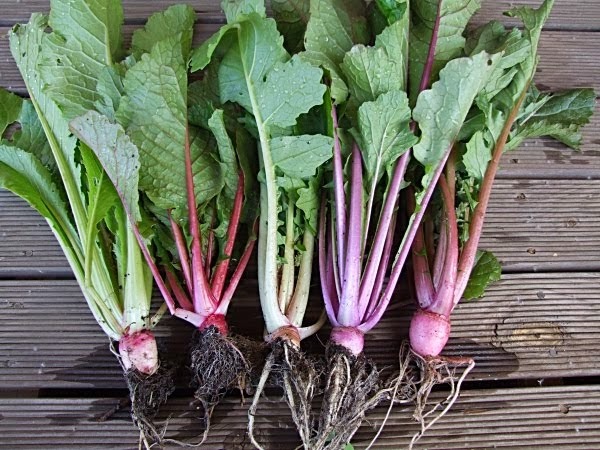 Although many of the frost sensitive plants will be an almost total loss because of the cold and wet spring, I am filling up the beds with other vegetables. Some of my customers won't be getting the seed they ordered but I hope they will be happy with what I will be able to offer. 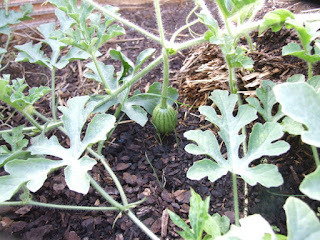 My first mini watermelon has set a fruit. I had this plant in the hothouse because of the weather and another three outside. Don't want to take chances with these few weeds that I probably won't be able to get again so I separated them to mitigate the risk. The seeds are so tiny that they are hard to see in the packet. I hope this means that, unlike other small watermelons which tend to be seedy with large seeds, this one will be much more pleasant to eat. 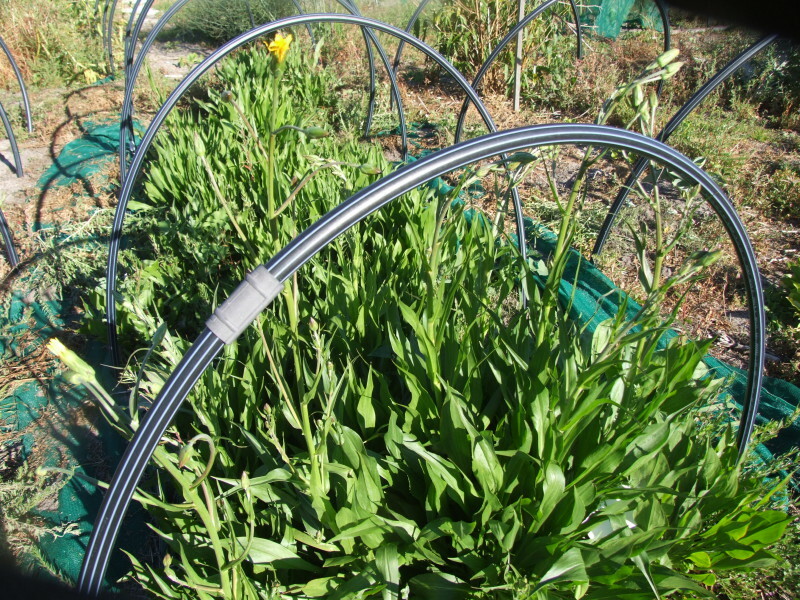 Last year it was too hot for my scorzonera to set seed but they are sending up flower shoots now so if the weather holds up I might get some seed this time. 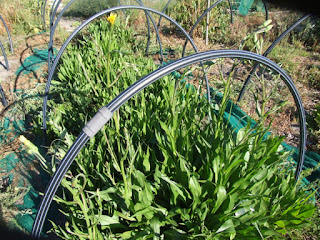 Scorzonera is so good to eat that it is a shame that it is not more widely known. I am harvesting broad bean seeds at the moment but not a lot else is happening. Sorry about the short post.